With Agents of Shield on ABC, and Daredevil and Marvel’s Jessica Jones (as well as the coming, respective Luke Cage, Iron Fist, Defenders, and Punisher series), we’re seeing a lot of live-action Marvel on TV — not that we’re complaining. However according to E!, the newest Marvel series might be a bit more intense than we’re used to (and when mind control and a former soldier trying to murder everyone in any way responsible for the death of his family are in the mix, that’s a tall order). Because the universe of the series is not the one of the films, there won’t likely be any crossovers of actors or characters between the two — however, the series has a stellar cast on board, including Aubrey Plaza, Jean Smart, Katie Aselton, and Bill Irwin. Hawley also recently shared why he wanted to develop the project for television rather than film: “A feature film has to have a certain velocity to it, but a TV show is more character-driven, and I think it’s more interesting to explore almost the existential questions of what it’s like to be different, to really be different, and to question the reality that everybody else lives in.” Since the X-Men have always existed as representations of marginalized groups and outsiders, Hawley’s thinking makes perfect sense. 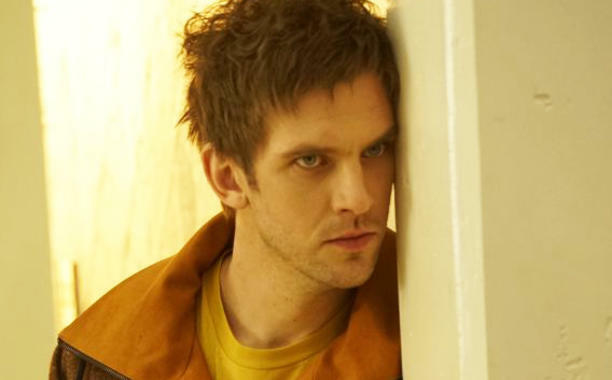 Now that you’re probably thoroughly pumped for Legion, we do have a bit of bad news — FX isn’t looking to premiere the show until early 2017. Luckily, we’ll have Marvel’s Luke Cage coming in a few months to fulfill our Marvel TV needs till be can see Legion for ourselves.